The largest gourmet spicy food show in Florida. Located indoors and filled with vendors from across Tampa Bay and Florida with every kind of spicy concoction imagineable. Hot sauce competition, pepper eating contest, Spicy Lolly Lick-a-Thon, Favorite Vendor Competition and more. Come out and support your favorite brands. 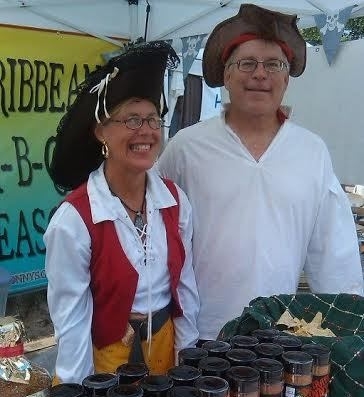 Introducing Pirate Jonny's, a Clearwater-based business started in 2010 by husband & wife team Jonathan & Terri Toner specializing in Caribbean-themed sauces, spices & rubs. They offer a host of award-winning products that are all natural, no preservatives, MSG free, gluten free and full of flavor. They have a website and Facebook page where photos & recipes can be found. Their products can be purchased in Winn Dixie, Whole Foods, Nutrition Smart, Giant Eagle, ACE Hardware and more. Come try Pirate Jonny's products at 2 Nutrition Smarts Sat, September 24th, 10 - 12 pm (Racetrack Rd store) and 1 - 3 pm (N Dale Mabry store). 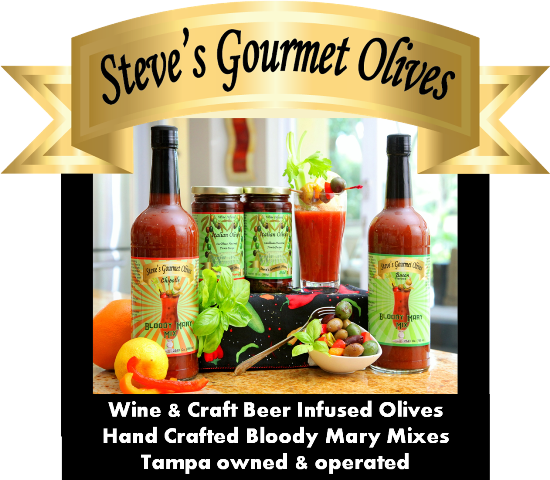 Try them again, along with Steve's Gourmet Olives, at Pierce Street Market in Clearwater on Oct 8th. We recently have expanded our corporation, Moonbay Consulting, Inc, into Moonbay Gourmet. We now provide sales consulting services to local food & beverage brands. There are great local businesses that are growing and could use some help to support that growth. We offer complete on-site services like sales demos, delivery & inventory assessment, social media support and business network representation. We are currently active in Hospitality, Entertainment & Cuisine Network, Working Women of Tampa Bay, MGM Friends and Tampa Bay Parrotheads in Paradise. Look for more info soon.